In 1994, the California legislature enacted Civil Code section 51.9 to address the relationship between providers of professional services and their clients. The statute sets out a non-exclusive list of such providers, which includes physicians, psychiatrists, dentists, attorneys, real estate agents, accountants, bankers, building contractors, executors, trustees, landlords, and teacher; also falling within the statute’s reach is sexual harassment in any relationship that is substantially similar to the ones specifically listed. Thus, for instance, a certified nursing assistant’s relationship with a patient is either a service or professional relationship with that patient, and would support statutory liability for sexual harassment within this section within a “business, service, or professional” relationship. Under Cal. Civ. Code section 51.9, the victim must establish not only that a qualifying “relationship” exists, but also that the relationship is one that the claimant cannot easily terminate. The claimant must also show both that the harasser made sexual advances, solicitations, sexual requests, demands for sexual compliance, or engaged in other verbal, visual, or physical conduct of a sexual nature or of a hostile nature based on gender, that were unwelcome and pervasive or severe. The standard for determining whether the conduct is severe and pervasive is similar to the one applicable to the sexual harassment at California workplace. Sexual orientation discrimination involves treating an employee differently because of his or her sexual orientation (being gay, lesbian, or bisexual). In California, homosexual employees are protected by the same laws that protect all other workers against sexual harassment. That is, it is unlawful to harass or discriminate against employees because of their sexual orientation. This means that an employer who fails to hire, promote or otherwise provide equal conditions and privileges of employment to a homosexual employee because of his or her sexual orientation violates California anti-discrimination and anti-harassment laws and is subject to liability. Some of the common examples of sexual orientation discrimination and harassment include being treated differently after your employer or co-workers find out about your sexual orientation, being harassed by comments of jokes about your mannerisms or sexual activity, not receiving the same compensation and bonuses as straight employees. If you work in San Francisco, Bay Area, or Sacramento Areas, and you believe that you are subjected to sexual or sexual orientation discrimination and harassment, an experienced employment lawyer may be able to help you and guide you through the stressful time of dealing with sexual harassment at workplace the right way. The San Francisco employment lawyer Arkady Itkin will be glad to discuss your concerns with you free of charge and without any obligations. We will then be able to determine whether we can help you protect your rights and prevent further harassment. Are supervisors personally liable for sexual harassment at California workplace? An individual harasser at workplace in California, whether he / she is a co-workers or a supervisor, may be personally liable for sexual harassment under the Fair Employment and Housing Act (FEHA). This means that the employee who is a victim of sexual (or other) harassment, may be able to pursue legal action against both his or her employer and the individual who causes harassment and creates hostile work environment. FEHA defines “supervisor” as an individual who has either (1) the authority to hire, transfer, suspend, lay off, recall, promote, discharge, assign, reward or discipline other employees; or (2) the responsibility to direct other employees, adjust their grievances, or effectively recommend such action on grievances, provided that the exercise of the authority or responsibility requires the use of independent judgment. Cal. Government Code section 12926(r). For more information about FEHA please visit the site of California Department of Fair Employment and Housing. There are various, although equally despicable and unlawful kinds of sexual harassment that employees may be subjected to at workplace. One type of sexual harassment may take the form of an economic “quid quo pro” where a supervisor’s requests for sexual favors are linked to the grant or denial of job benefits, such as getting or retaining a job, a receiving a favorable performance review, salary raise, promotion, bonus, etc. 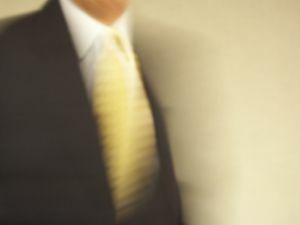 The typical case involves some for of sexual advance or proposition by a supervisor with an express or implied threat that if the employee refuses, he or she will be terminated or demoted, or lose other job-related benefits; or, the employee may be promised better treatment, such as a promotion, transfer, raise or favorable recommendation, if the employee submits to the sexual advances. The supervisor’s requests for sexual favors in exchange for a certain benefit do not have to be express to constitute unlawful sexual harassment. It is enough that the individual making the unwelcome sexual advance was the victim’s supervisor, and that a link to employment benefits could be inferred under the circumstances. Such circumstances might include implied statements or simple the fact that the supervisor persists with demands for sexual favors after plaintiff has declined or stated that he or she is not interested in any kind of sexual interaction with the supervisor.